Social media tracking will only function on campaigns created after July 26, 2013. Contact us for help adding the tracking code to older campaigns. The social media links allows you place social media buttons (Facebook, Twitter, LinkedIn, Google+ and Email) on your PURL landing pages. 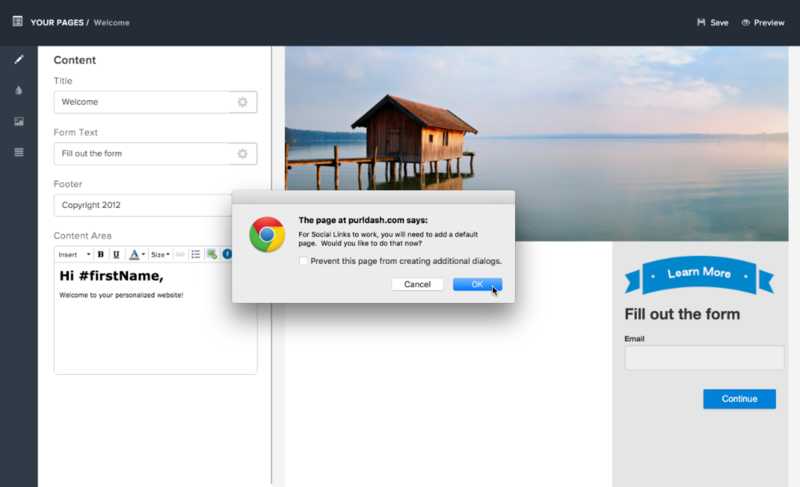 Purlem makes sharing and tracking social referrals extremely easy. In your Landing Page editor, select the Social Links (Facebook) icon as seen below. 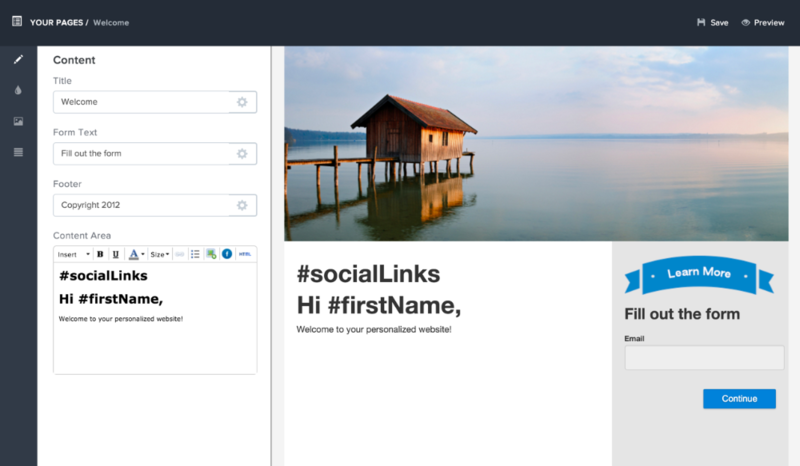 The #sociaLinks tag will be placed into the landing page editor. You may get an alert asking you to add a default landing page. This is because when someone else clicks on the shared link, they'll be redirected to a default landing page where they can enter their information. 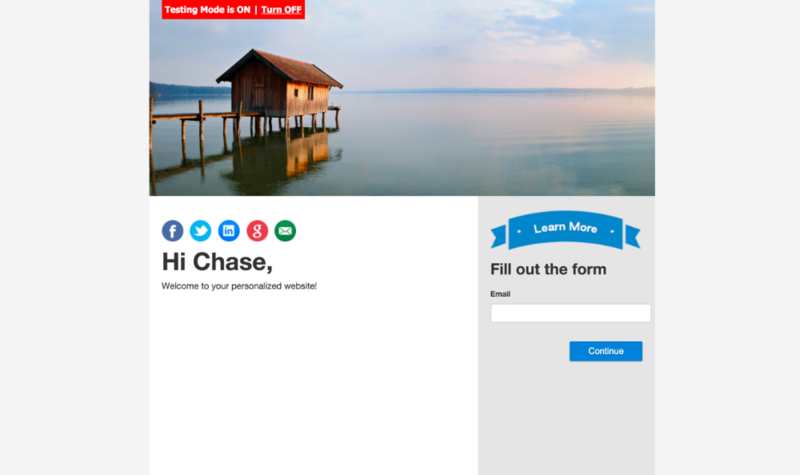 Learn more about the default landing pages here. 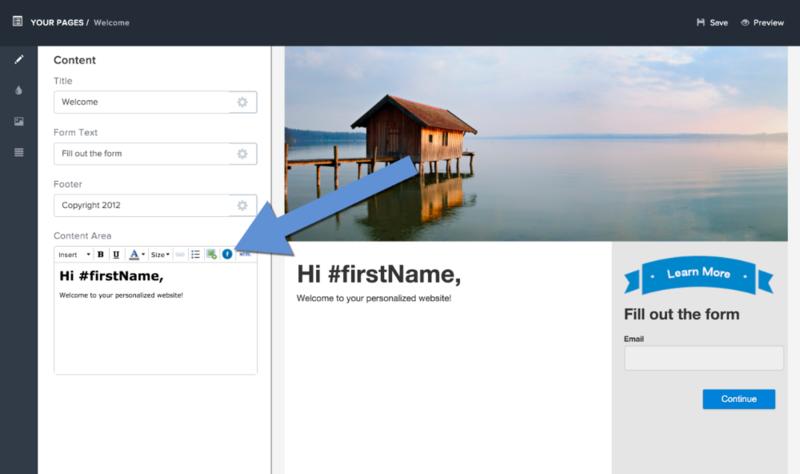 As soon as a default page has been created, you'll be able to use the #socialLinks tag. Like other custom content tags, the #socialLinks tag will be replaced with actual social media links whenever you preview or view the live PURL. You can also add your own custom share links. The process will be different depending on if your adding the share link within Purlem's landing page editor, or directly through the landing page (index.php) file.